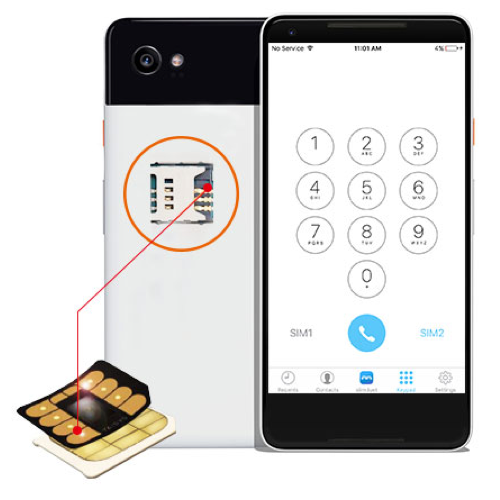 Utilizing Taisys’ unique, patented SIMoME® technology, the ultra-thin SIM allows for the placement of two smart cards into the single SIM card slot of traditional single-SIM-slot device. The duoSIM is compliant to all relevant GSMA/3GPP/ETSI standards, making it compatible with all standard devices from older features phones to the latest smartphones. With the duoSIM, any device becomes capable of holding two SIM cards in the one SIM card slot of the device, reducing the need for the user to physically remove and exchange SIM cards when travelling, helping to eliminate the possibility of losing and misplacing cards. The user can easily select which card to use directly from the SIM Tool Kit (STK) menu, or calling a specific short code to do the selection. The duoSIM can also support having multiple numbers and automatic or manual modes for selecting which number to use. Support for international calling services can be included through the Smart Dialer function, allowing customizable and modifiable setting for the issuer and simplified usage for the user. The duoSIM also supports standard GSM Remote File Management (RFM) through OTA.